undoubtedly one of Dublin Finest Restaurant . 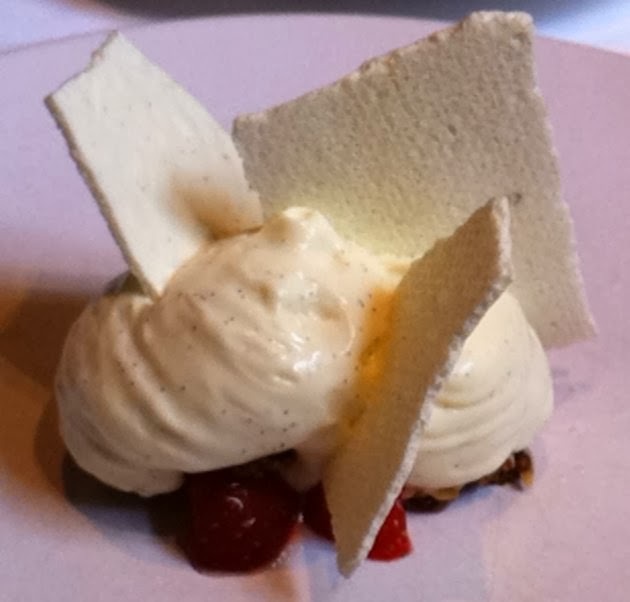 An Award winning Michelin * restaurant offering great food and attentive service . With Chef owner Ross Lewis at the helm , this Michelin * establishment focuses on local produce & seasonal produce to create an array of modern dishes and never disappoint . Winner of numerous Awards , Ross Lewis motto is " Good cooking starts with good produce " . I had the pleasure and was lucky enough to have been trained by this Master Chef earlier on in my Career and What great memories and experiences they are and which I cherish very dearly . Here are a few of the dishes we had from their Dinner Tasting Menu .To remain neutral , I will allow the pictures to speak for themselves . Flavours of tomato , with a feta cheese mousse , marinated red onions , caper sprouts pureé with basil oil . 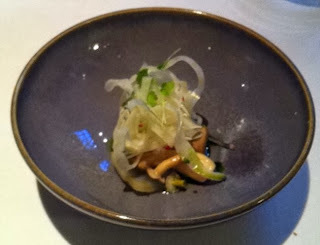 Marinated fennel and Ballyhoura mushroom salad with shaved fennel and coriander oil . 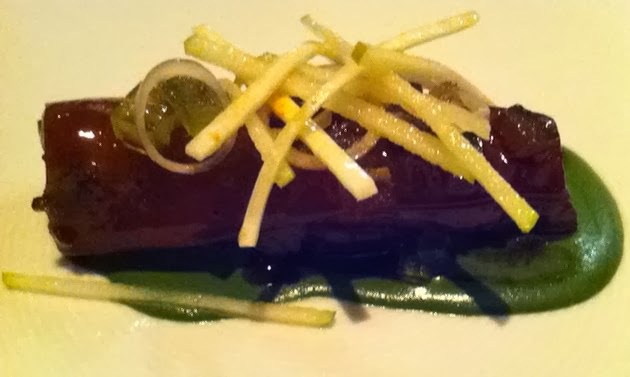 Pigs tail stuffed with a Fingal Ferguson smoked bacon and langoustine farce , basil pureé and citrus mustard fruits . 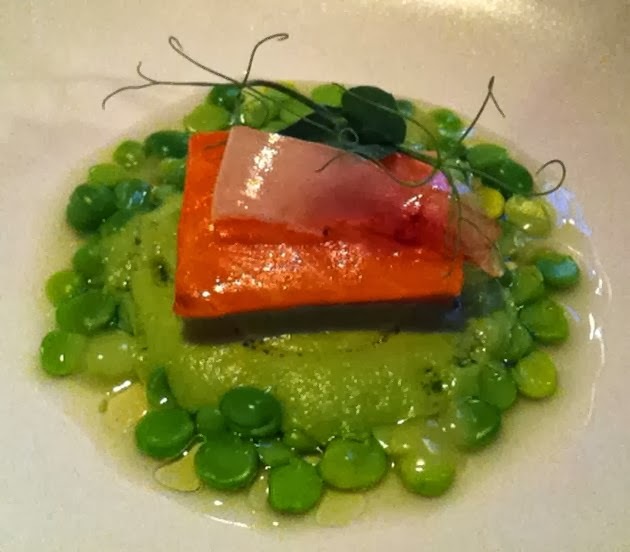 Warmed smoked Clare island organic salmon , with spring peas , pea mousse and Irish guanciale and lemon oil . Carpaccio of veal haunch cooked in milk , with horseradish , caper sprouts and preserved green tomatoes . 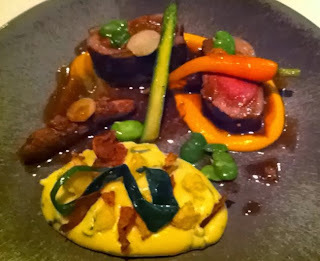 Rump of lamb cooked in smoked oil with spring vegetables , smoked champ , fried sweetbreads and pickled garlic . 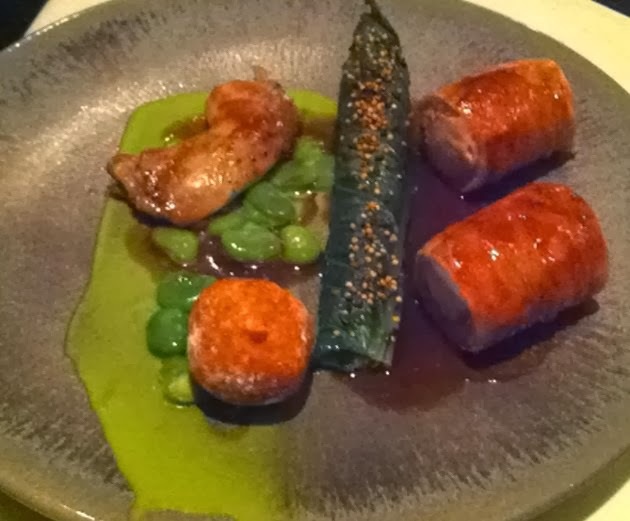 Rabbit stuffed with a light pata negra farce , broad beans , wilted lettuce filled with rabbit liver parfait and smoked bacon cooked in yeast , toasted seeds . 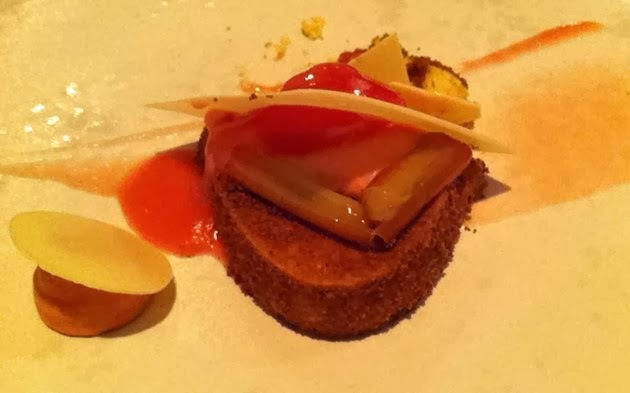 Rhubarb poached with black pepper with baked custard flavoured with maple syrup gingerbread and rhubarb bombe . 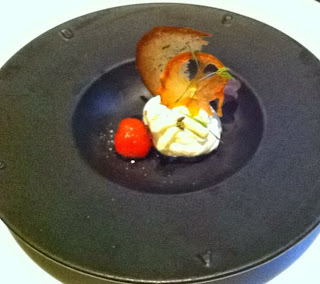 Irish Strawberry with a yuzu and yoghurt mousse , basil ice , brown bread and oat crunch , dried milk . 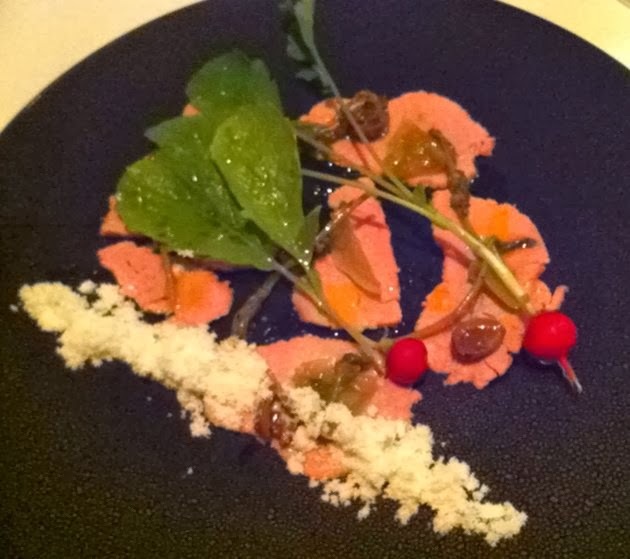 A truly memorable meal .